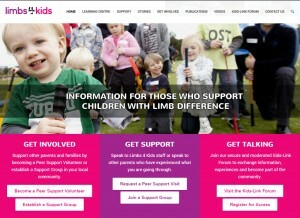 As of today all Australian children and young people with limb differences and those who care for them have a website to call their own – www.limbs4kids.org.au The Limbs 4 Kids website is an initiative of Limbs 4 Life, Australia’s peak organisation for amputees and persons with limb difference. The Limbs 4 Kids program and its website is the first of its kind in Australia; providing comprehensive information and resources for parents and healthcare professionals caring for children and young people with congenital and acquired limb differences. Melissa Noonan, Chief Executive Officer of Limbs 4 Life, said that “the national Limbs 4 Kids program and website will support and resource the thousands of Australian families who care for children born with a limb difference or who have a limb amputated during their childhood”. In Australia it is estimated that over 2,500 children and young people have a limb difference. A limb difference may be caused by a congenital condition identified during pregnancy or soon after birth, or as a result of a limb amputation due to trauma, infection or cancer. Some children with a limb difference use a prosthetic limb while others may not and use other assistive devices instead. The Limbs 4 Kids website is a key feature of the new Limbs 4 Kids program; established in response to needs identified by parents of children with limb difference and underpinned by research conducted by Monash University. The Limbs 4 Kids program facilitates connections between parents, offers peer support, provides ‘on demand’ information and resources and is increasing knowledge about limb difference in the wider Australian community. 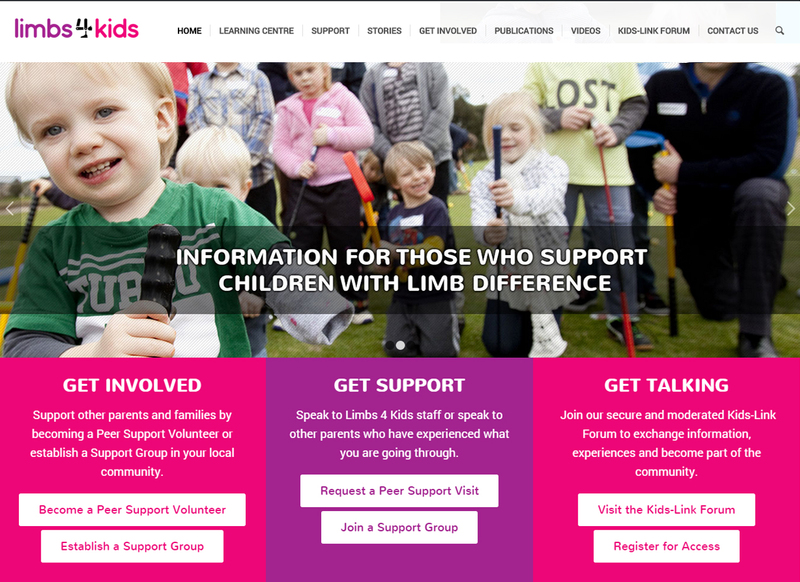 A key feature of the Limbs 4 Kids website is its Learning Centre. “The Limbs 4 Kids Learning Centre is the first online library of its kind in Australia, containing information about the key physical, social and educational milestones experienced by children and young people with limb difference. This library also covers issues that particularly affect families caring for a child with limb difference and provides tips for how to address these”, said Melissa. Additional website features include a link to the closed Limbs4Kids Facebook Group, stories, videos, publications, Thrive magazine and opportunities to access peer support or become a trained Peer Support Volunteer. The Limbs 4 Kids program is generously funded by nib foundation who, like Limbs 4 Life, are committed to ensuring that all children with limb difference and their caregivers receive access to informed and timely support.